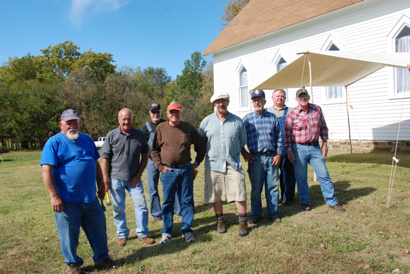 A hard working crew poses for a picture between jobs. 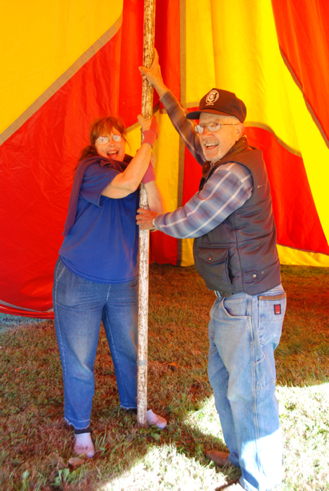 Kathleen & Don Smith help with erecting the tent for the schoolkids. 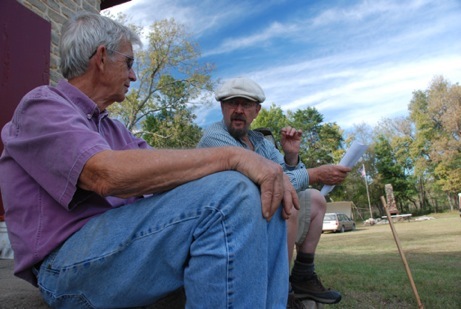 in preparation for the tour. 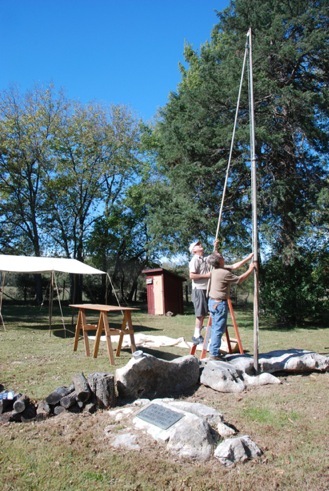 Kevin Smith and Joe Bournonville do repairs to the flag pole. 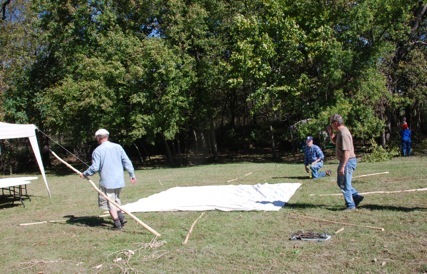 The pioneer style tents were made by volunteers prior to the 2014 tour. 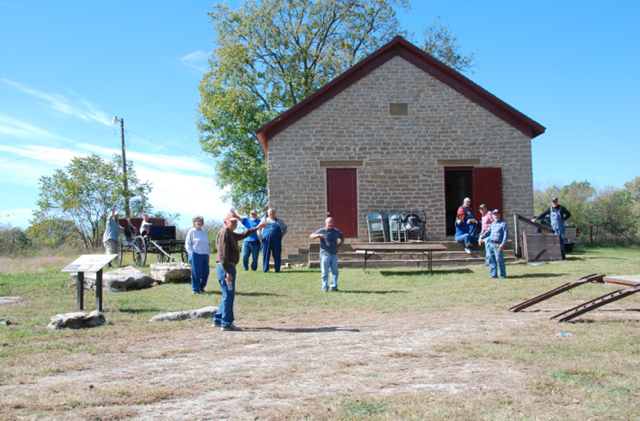 Volunteers prepare to get one set up. 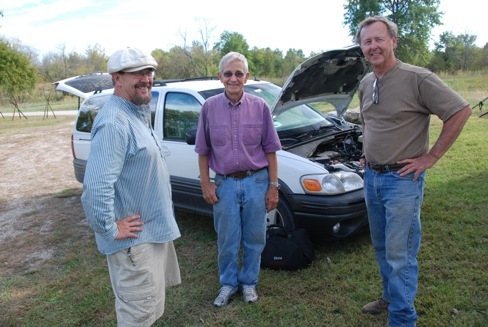 Joe Maghe, Ralph Carlson, and Joe Bournonville pause for a picture at the end of the day. in preparation for the Kids' Day.